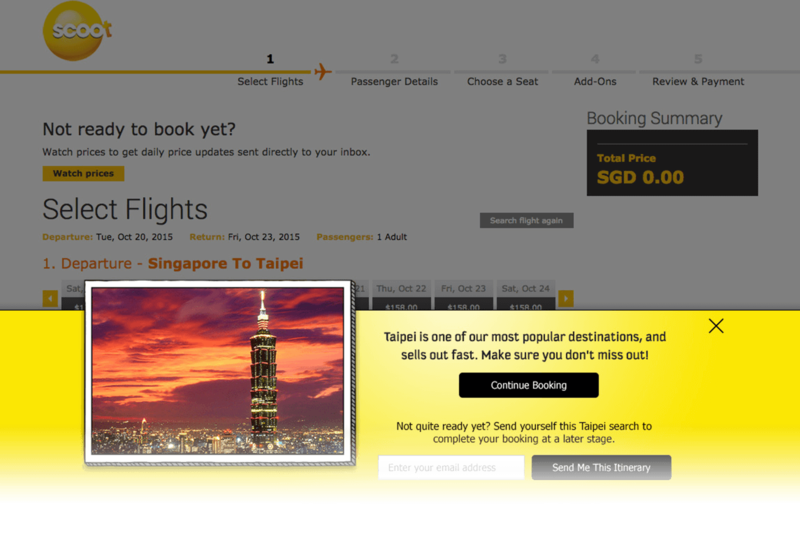 Booking abandonment is a huge challenge for the airline industry and Scoot approached SaleCycle to create an integrated On-Site and Email Remarketing program to help convert more web visitors into customers. Scoot approached SaleCycle to create a seamless booking abandonment program which would complement the online customer journey while recovering lost bookings online. The integration with Scoot allows them to trigger an on-site message at the point of abandonment, highlighting the destination of choice, and prompting the customer to book and not to ‘miss out!’. In addition, emails were used to summarise the journey details and prompt customers to complete their booking while the flights are still available. SaleCycle’s partnership with Scoot has been a real success, increasing their online revenues and improving the customer booking experience online. 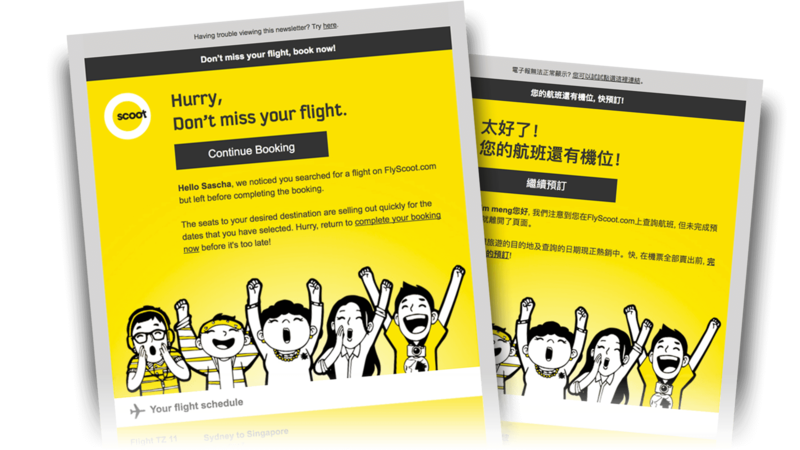 Scoot’s on-site messaging has been successful in preventing abandonment at the time of booking, with almost 20% of those clicking on the overlay continuing on with their booking. Those not tempted by the on-site message are then sent a booking abandonment email. 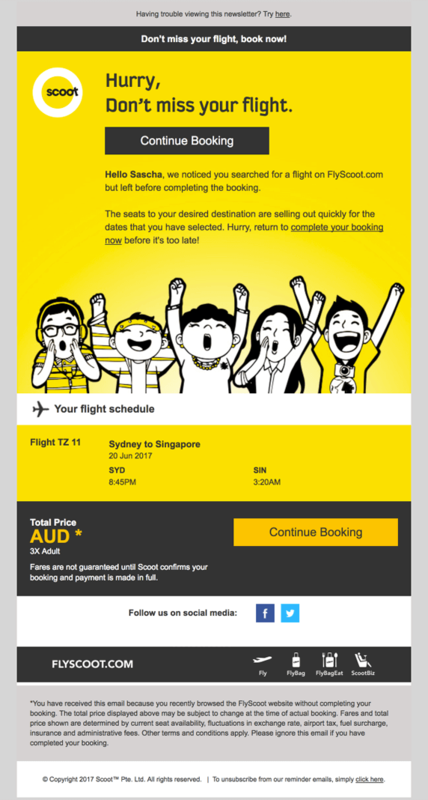 These emails boast an open rate of around 50%, with more than 35% going on to complete the booking. 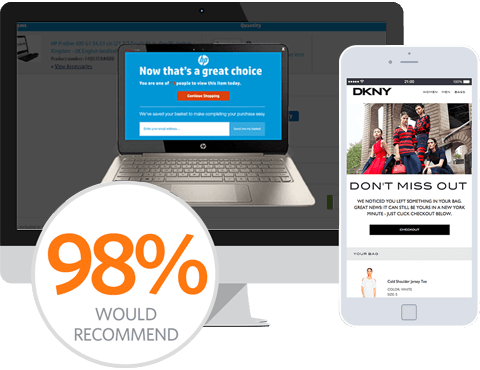 The importance of creating urgency in any remarketing campaign has been highlighted by Scoot, with an outstanding increase in overall online sales of more than 4%. I’d recommend SaleCycle to anyone. Good service, fast response, good revenue returns!